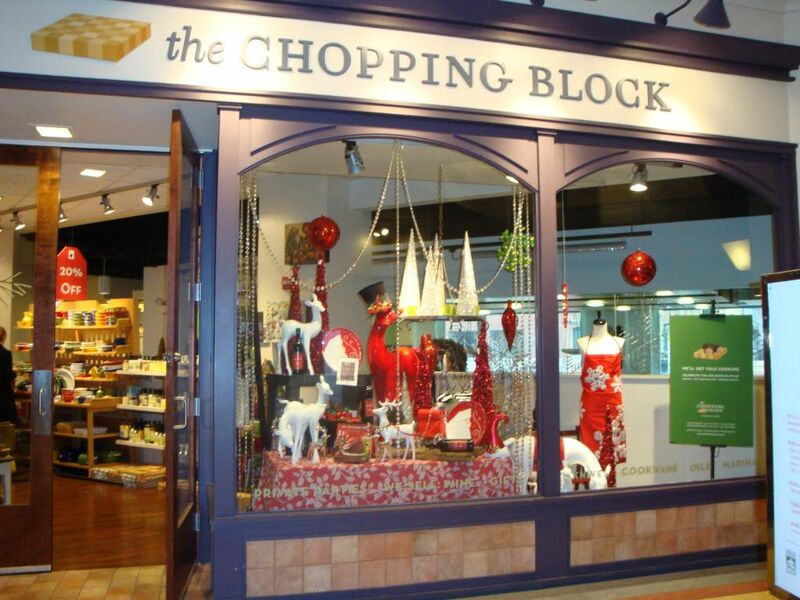 This Sunday, a friend and I took a Vegetarian Thanksgiving demonstration class at the Chopping Block (Merchandise Mart Suite 107). 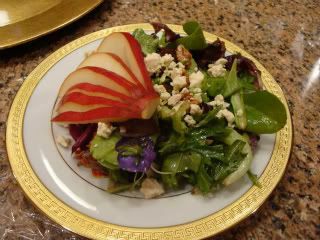 It was fun, educational, and DELICIOUS! We had a blast watching the chef cook our meal. For a demonstration class, it was very interactive; she was very friendly and encouraged us to ask questions, take pictures, and help out (only one person took her up on that offer, haha.) AND since we were signed up for a class, anything we purchased at the store that day was 15% off. That's a pretty sweet deal!! 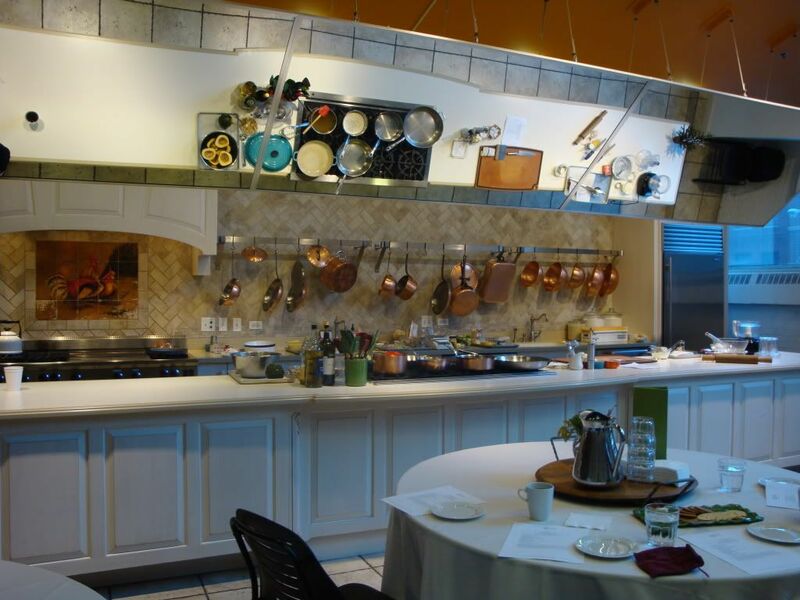 This was actually my first cooking class ever, so I wasn't sure exactly what to expect. I got to the Chopping Block about 10 minutes early. Luckily they had a cute little store of gourmet cooking items, cookbooks, and ingredients that I could browse. The sous-chef came out and invited all the students that were already there into the "classroom". 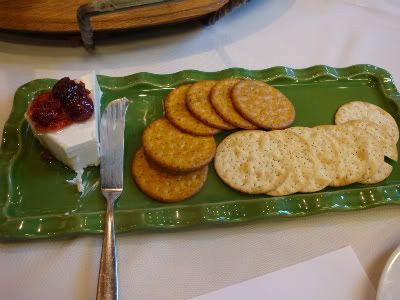 They had complementary water & coffee to drink, as well as a cheese & pepper-jelly with crackers for people to snack on before the class started. Unfortunately, I wasn't able to try the cheese since I'm in the middle of a cheese-less challenge :-( We were also allowed to purchase wine or mimosas to enjoy during the class. The chef came out an introduced herself to everyone. She seemed genuinely interested in getting to know the students there! 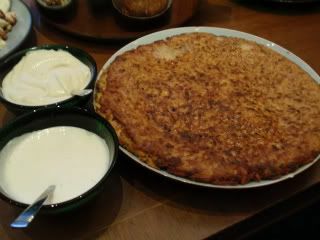 During the next 2-1/2 hours, she showed us how to make 5 dishes suitable for a Thanksgiving feast. 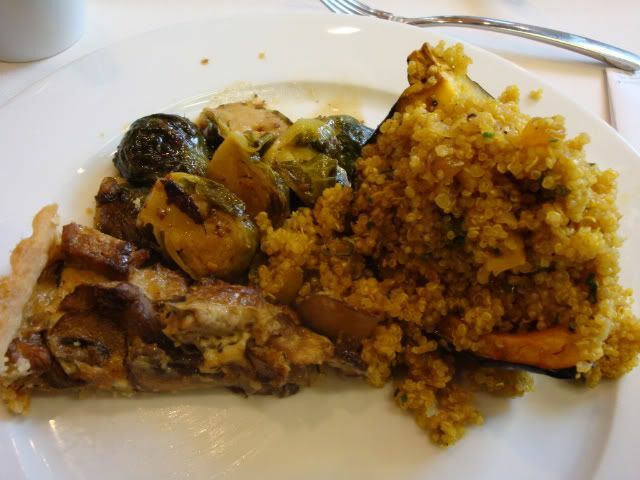 The meal consisted of a mushroom and tempeh tart; acorn squash with apple, sage, & quinoa stuffing; a potato, turnip, & caramelized onion gratin; mustard & maple glazed Brussels sprouts; and a sweet potato pie. 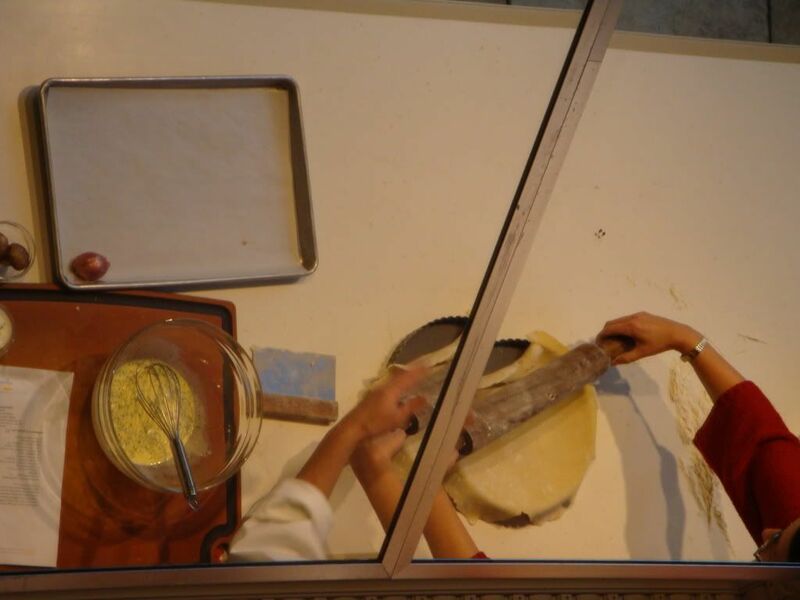 We even learned how to make pie crust (for the tart and the pie), as well tips and tricks of the trade. She even had one of the students come help her roll out pie crust for practice! All the food I tasted was amazing!! 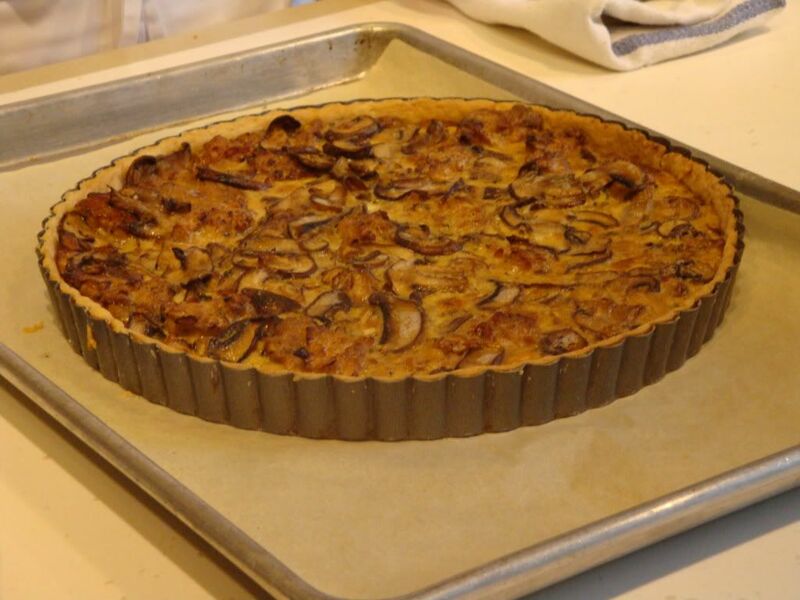 The tempeh & mushroom tart was fantastic. 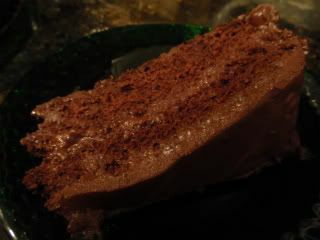 It had a fairly mellow flavor, and the crust just melted in my mouth. 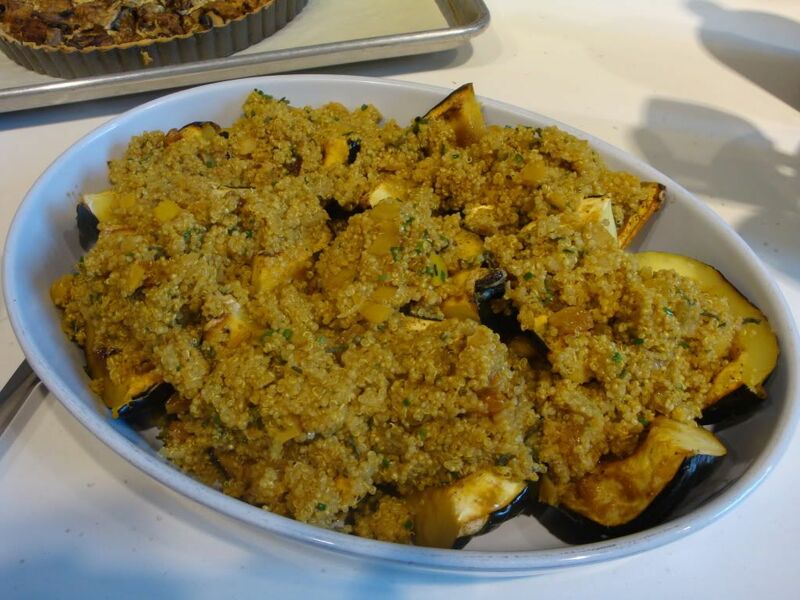 The squash with quinoa was sweet and savory. 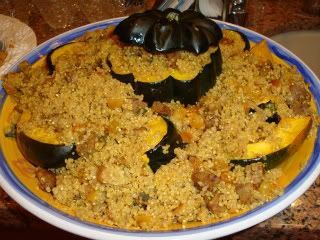 The spices and curry she used in the quinoa complemented the sweetness of the squash and raisins in the dish. It had a very robust taste to it. 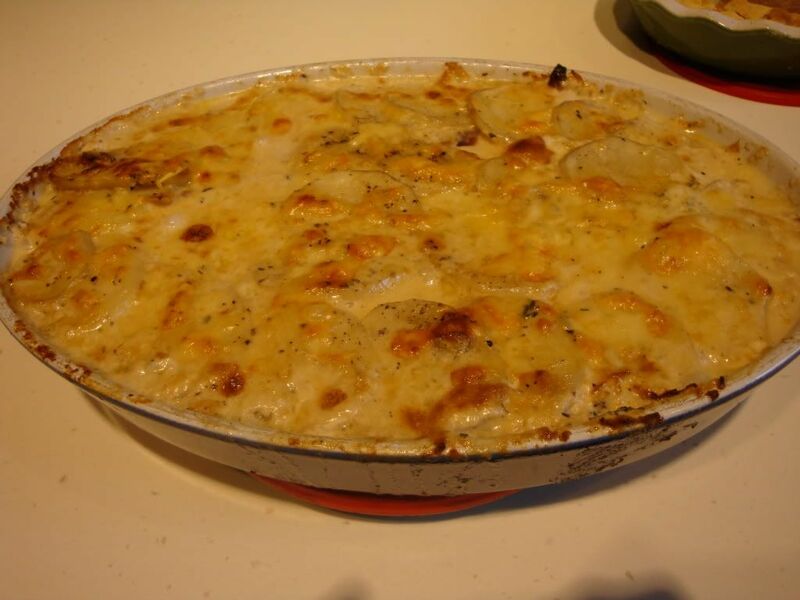 Unfortunately I was unable to try the gratin, since it was just potatoes, cream, and cheese. Being lactose intolerant, I would not have enjoyed that dish anyways! My friend, however, tolerates dairy just fine, and he thought it was delicious. I love Brussels sprouts, so that dish was my favorite of the day. 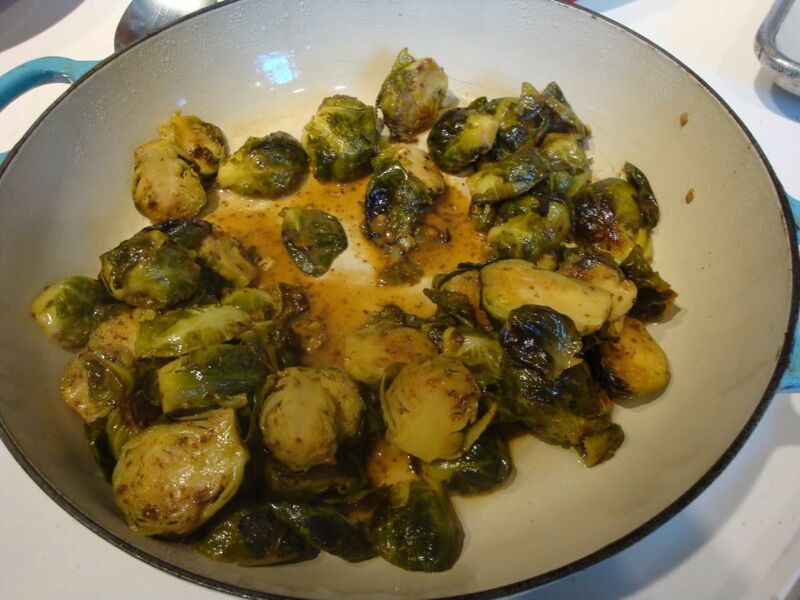 Even my friend, who normally hates Brussels sprouts and mustard, loved this dish. Maple syrup was used in the glaze, and the sweetness really cut the bite from the sprouts and the mustard. All three flavors worked well together. 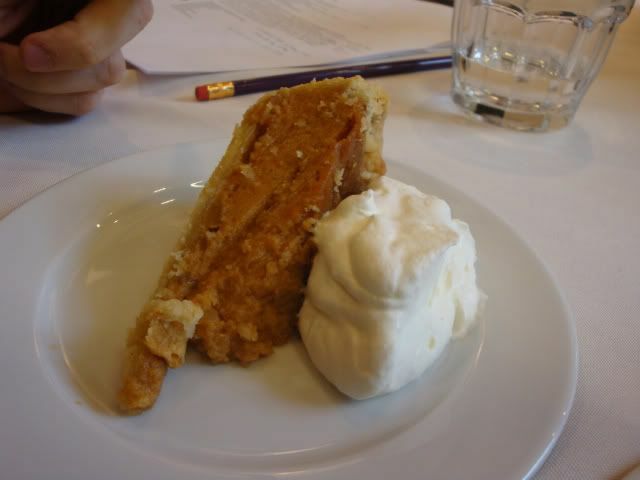 And of course, the sweet potato pie made a nice end to our meal. 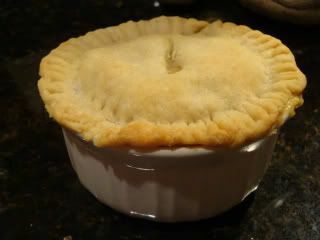 She used crystallized ginger in the recipe, and its flavor came out in every bite. 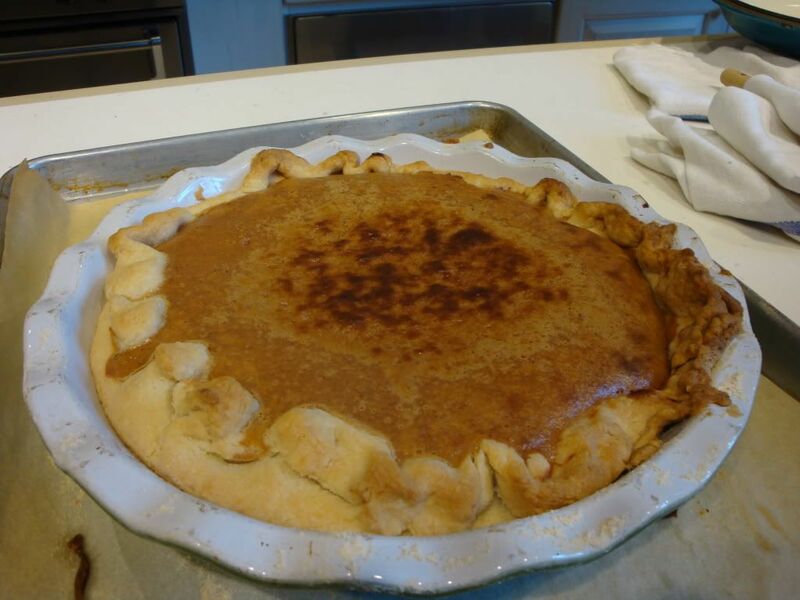 This gave the pie a unique taste compared to traditional sweet potato pies. All in all, we had a really great time! We learned a lot, and had fun doing it. I liked that it was a demonstration class because I feel like I may not have been able to pay attention as much to all the tips and tricks if it were a hands-on class. They have a vegetarian class at least once a season, so I will most definitely be coming back to check out what they have in store for us next time! My friend and I were even considering their vegetarian bootcamp - 3 straight days of instruction about vegetarian cooking. Either way, we're looking forward to our next trip to the Chopping Block! 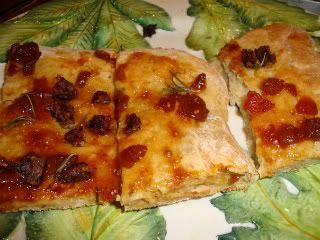 Cooking Light Challenge - Part 2! 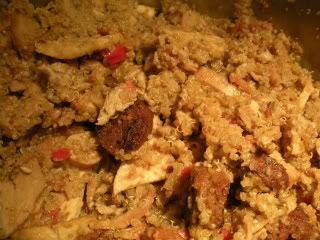 Cooking Light Challenge - Part 1! !